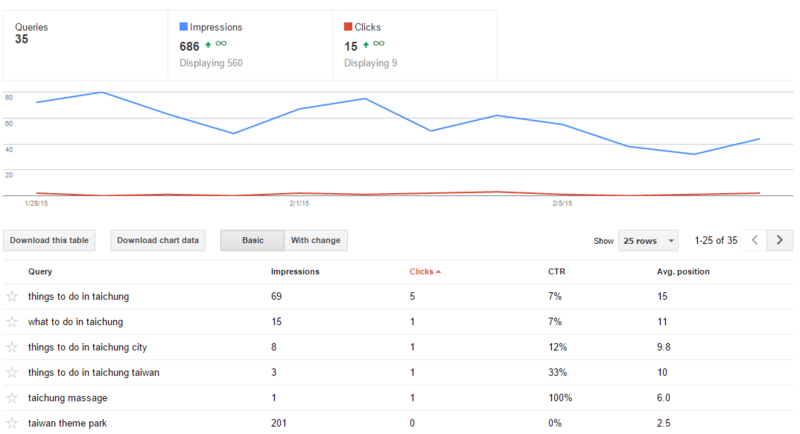 Google Webmaster Tools (GWT) is a powerful tool that’s completely free. It gives you keyword data, page data, the ability to mark-up pages via the data highlighter, who’s linking to you etc along with a whole host of features aimed at providing more insight into organic search and your website. There are limitations, however, that become much more apparent with the larger types of websites that have various directories that drive high amounts of traffic from organic search. Unfortunately, Google clumps all this data together in the [search queries] report so you’ll have to do the guessing on what part of a site ranks for a specific term. The [top pages] report in GWT isn’t much help either as you can only view each page one by one and will not be able to download keyword data for each page if you want a holistic view. However, in order to fragment this information you can actually setup profiles in Google Webmaster Tools (GWT) for specific sub-directories. So, in the example I’m about to show for my travel blog, I’ve actually setup a profile in GWT for a specific blog post and for a specific sub-directory. Now for a small site this is completely unnecessary as the information is easy to sort for smaller sites. But for sites that are obtaining traffic from keywords ranging in the tens of thousands then this might give you more data about specific sub-directories on your website. If you look at the below you can see that I’ve got my main GWT account under ‘jargoned.com’. That houses all of my data. For ‘jargoned.com/featured’ that houses only data specifically for that sub-directory. So, any articles that share the same URL path will also have data listed under that profile. 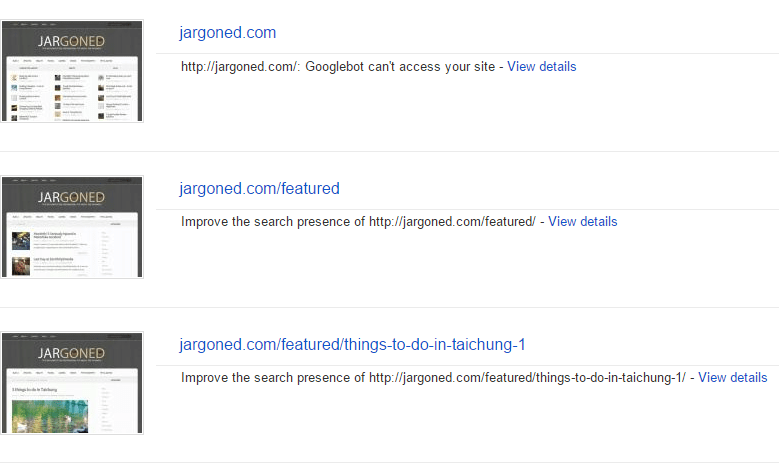 Finally, in the ‘jargoned.com/featured/things-to-do-in-taichung1’ you’ll find only data specifically about that post or even anything after that URL path (if there is anything). Most linked to content within a sub-directory. Device usability by directory or page. Manual actions on a sub-directory level. For the larger sites this data can be invaluable as you’ll likely have different sections of the site being run by ‘journey managers’ who may find this data to be very useful. 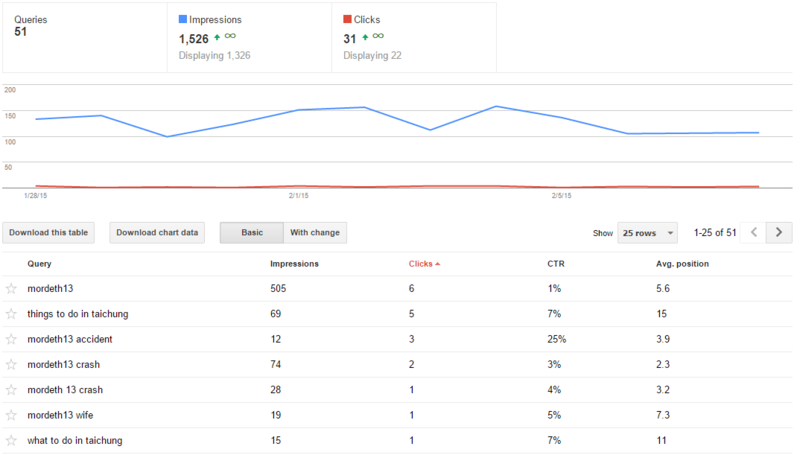 Larger sites usually segment data via Google Analytics, so why not do the same in Google Webmaster Tools?